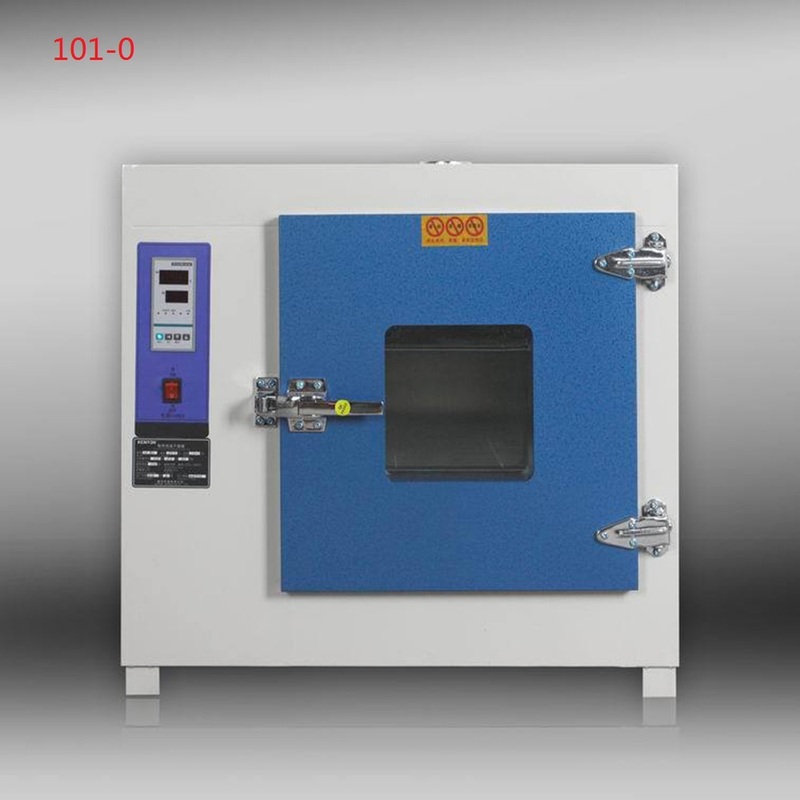 101 type is a blast and constant temperature electric heating drying oven,which has a digital display and pointer.it is widely used in industrial/agricultural production, scientific research, medical and health units, such as laboratory to try drying, heat treatment and heating.but it does not apply to the article such as volatile, flammable and explosive. Lower part of the product is equipped with heating wire.the left side has blower unit and temperature controller.when working,the air flows into by the air inlet, then by the heating wire and the blast stick into the studio,exhausts from the roof vent. This product has glass fiber between the inner tank and the shell,which is insulating material.the shell is made of steel plate.the surface of the cabinet is sprayed with electrostatic powder.the observation window of the cabinet door is made of toughened glass. Hot air circulation system is made up of low noise fan and duct. The air of the oven adopts fan forced convection.